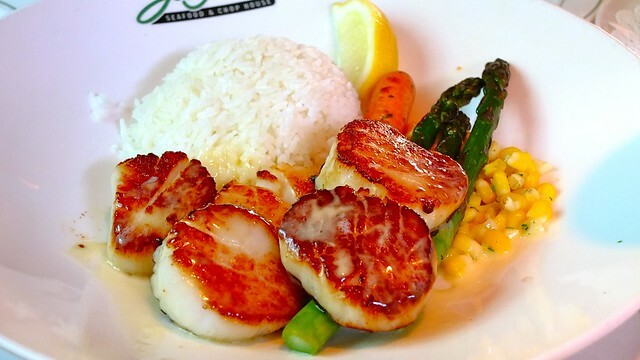 Seafood for dinner at Joe Fortes Seafood & Chop House on May 12, 2012. 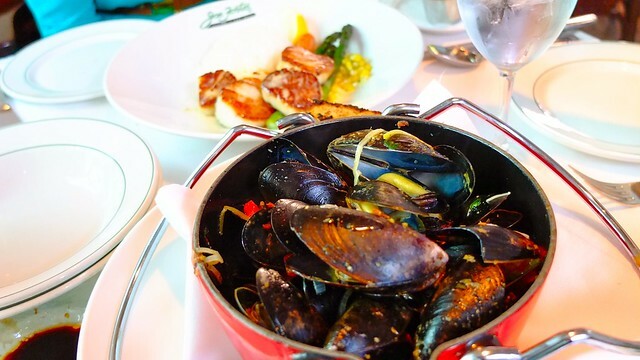 We returned to Joe Fortes for quick yet fancy Saturday night dinner to enjoy the warm summer's evening. 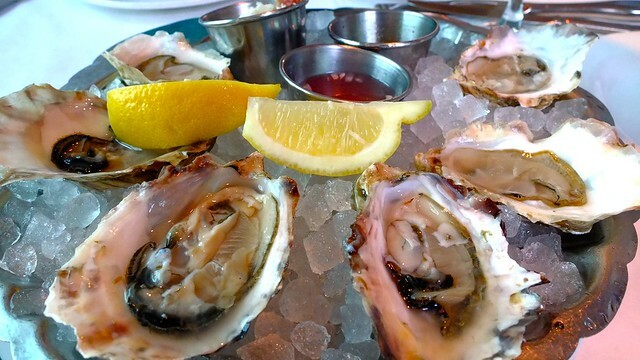 We started off with a few fresh raw oysters to celebrate the approaching sunny season before sharing a few seafood dishes. The giant scallops (very top) were quite delicious as the main affair. The pot of mussels were deep and great. The plentiful seafood went down nicely with the zingy sauce. 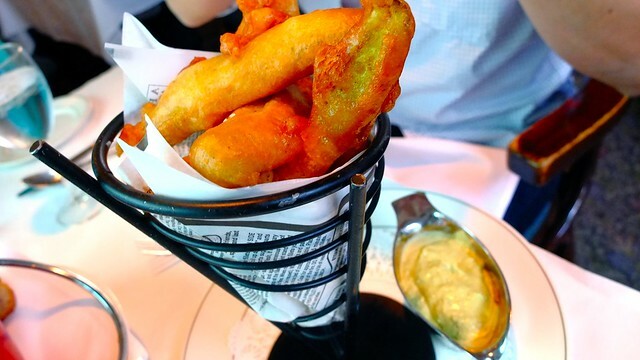 Dennis ordered the deep fried pickles and it's exactly what you'd expect. Not bad. I hate pickles and found them pretty decent. I still think Joe Fortes is the standard when it comes to upscale western dining downtown particularly the seafood options. It's hard to compare the overall experience for this Vancouver landmark.